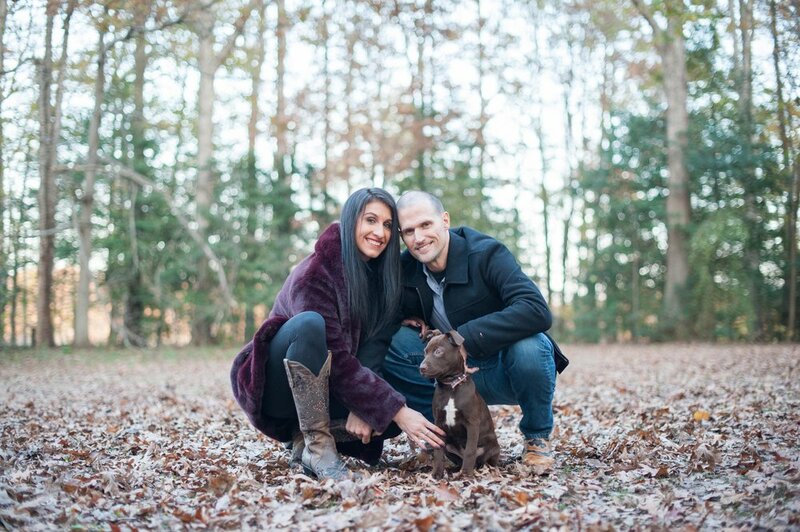 Okay, maybe not the FLOTUS you were expecting… My wonderful friends (who are engaged) recently took another big step and became dog parents! We had a wonderful time playing outside in the fall leaves. How adorable is she? They adopted her from Wolf Trap Animal Rescue and she is going to have such a wonderful life with them. If you follow me on Instagram, you might have seen how my boy Leo ran around with us to get a little of FLOTUS’ energy out. We had so much fun during the session. Let me know how you think it turned out! How cute is that bow collar?! Nobody could hold FLOTUS back! This is one lucky pup — so loved!